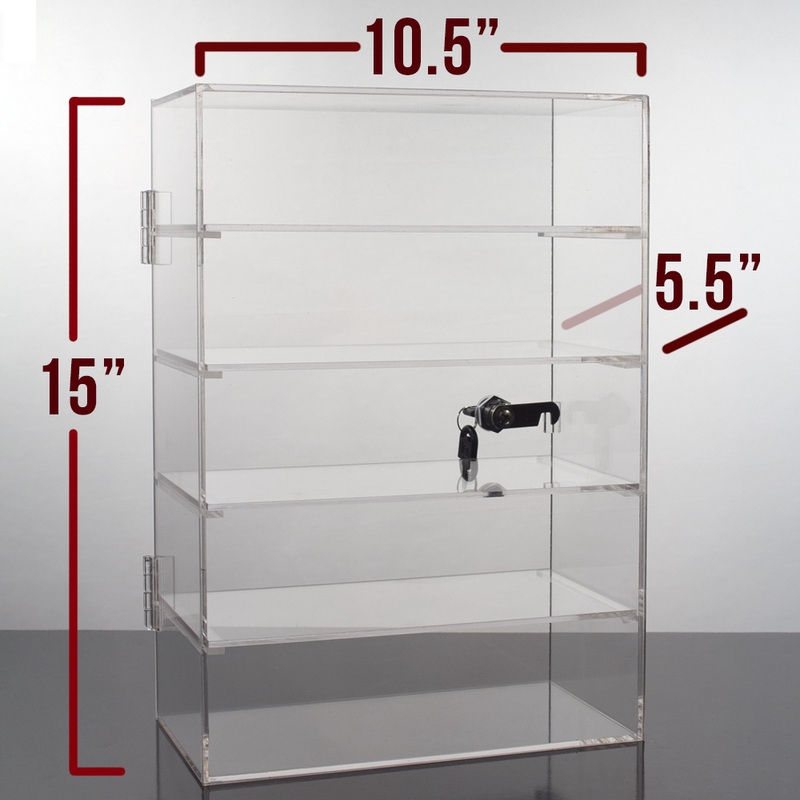 This acrylic showcase features 5 fixed shelves and a lock for added security. 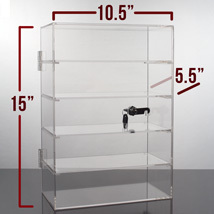 This Acrylic Locking Showcase is ideal for electronics, game accessories, or any item that requires special attention. 2 1/2 in. between shelves.